We will be hosting a tournament at The Good Will Social Club at 625 Portage Avenue on Sunday February 12th from 2:00pm - 8:00pm. It is going to be a Match Play tournament that is single elimination but has a two hour qualifying time to determine your seed. For the qualifying time each person will be paired up in groups of four. 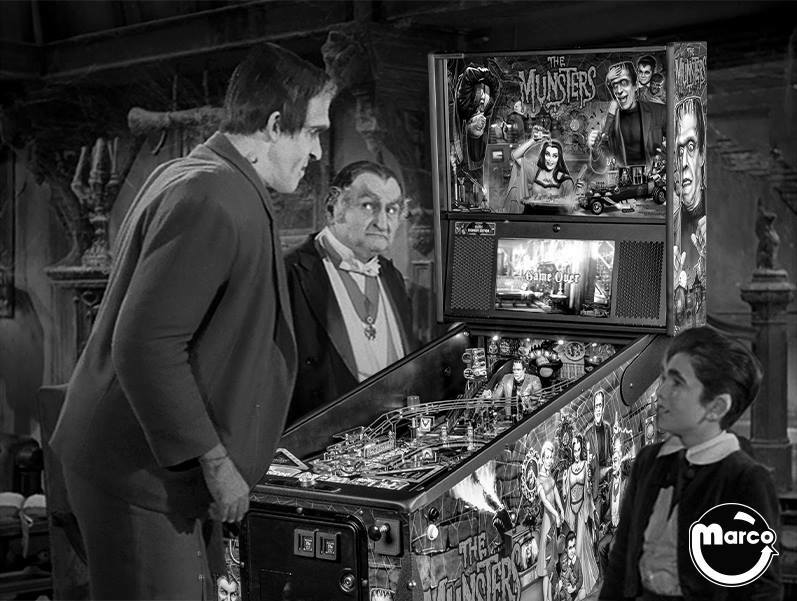 You will play 4 games on 4 different pinball machines as a group. You will get 7 points for a win, 4 points for second, 3 points for third and 1 point for fourth. After everyone has played the four games we will add up the points and seed the players 1 through 52. The tournament is going to have a MAXIMUM of 52 players.The elimination part of the tournament will be a best of three match play with the highest seed choosing the game and the loser there after until someone wins two games. The cost is going to be $20 per player. We are bringing in 10+ pinball machines for this event. Stay tuned for a list of games. There is a link to where the tickets will be available. If you would like to buy tickets right away email us and I can get you information on that. Only the first 52 PAID players will be allowed to play in the tournament. There will be BIG Cash prizes as well as gift certificates provided by The Good Will social club. Lets make this a memorable first public IFPA tournament in Manitoba! SEE YOU THERE! This is going to be a really fun event! I'm still surprised that 10 games are going to be set up! Tickets don't seem to be available through that site. The good will page shows only 4 things available and the pinball tournament isn't on there. How can I get two? Also I cant believe this is happening! Me and my buddy are in full training mode as we hope we can at least survive a qualifying round. Also there are ten tables. Will we be playing all ten? Or is that only if we pass the qualifying round? I think if I don't get a chance to prove my worth on a funhouse im gonna leave the place morbidy depressed. Its probably the only machine where I can make it appear like I can play pinball. They will be posted on "The Good Will's" ticket website later this week I'm sure but if you would like to get payment out of the way you can email money transfer me $20 to murdew78@gmail.com (No Paypal please, email money transfer only) . Just make sure you include your first and last name and what it's for and I'll make sure you're in the tournament. Right now as long you you say on the Facebook "The Good Will Open" event page that you're going you are in. I will post all paid people in this thread. I assume machines will be set to not award extra balls? I am extremely excited for this event! Many thanks to the organizers!